suspend or log off computers at schedule time you specifies. It can shut down computers at schedule time when no user is logged in or when computers are in suspended power conservation mode. 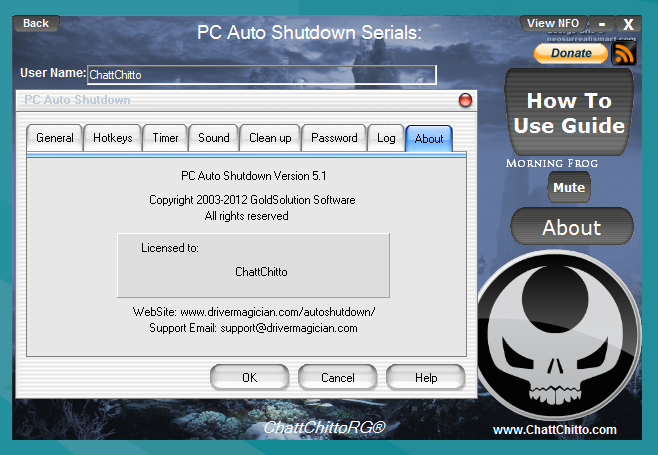 It gives you different ways to schedule the shutdown event for your needs, such as daily, weekly and only once. During the shutdown, it can clean up Recycle Bin, temporary files, IE cache, IE cookies, IE history, IE auto- complete entries and recent document list to improve system performance and protect your privacy. A typical PC left on for 24 hours each day can use $70 or more of energy per year. If it's turned off at night and weekends, it will only use around $20 of energy per year. Power outages have happened in the world, from United States to Europe, so it's important for us to save electricity and money.